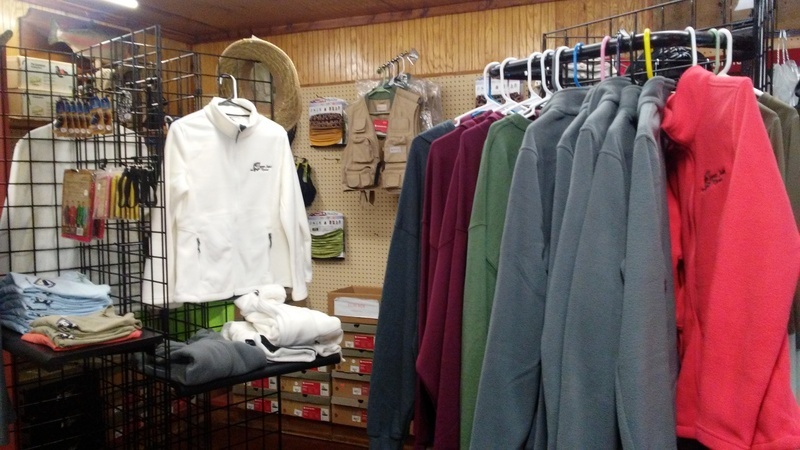 As the only fully stocked fly fishing tackle shop on the upper end of the White River, within 1.2 miles of Bull Shoals Dam, Copper John's Resort and Tackle Outfitter has ALL the necessities to make your fishing trip epic. 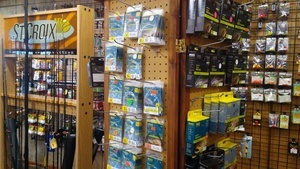 From flies, line, lures, rods, reels, waders & boots, clothing and maps, Copper Johns has what you need! 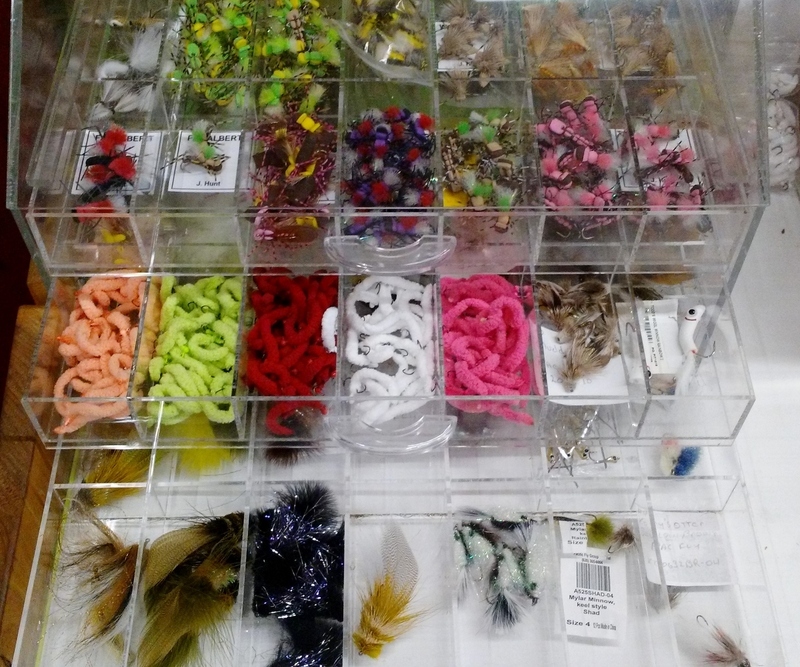 Here is just some of the inventory you will find when you visit our tackle shop, and for you bait fisherman/women..... there is power bait, lures, shrimp and worms available. Come and see our line of St. Croix rods in stock. 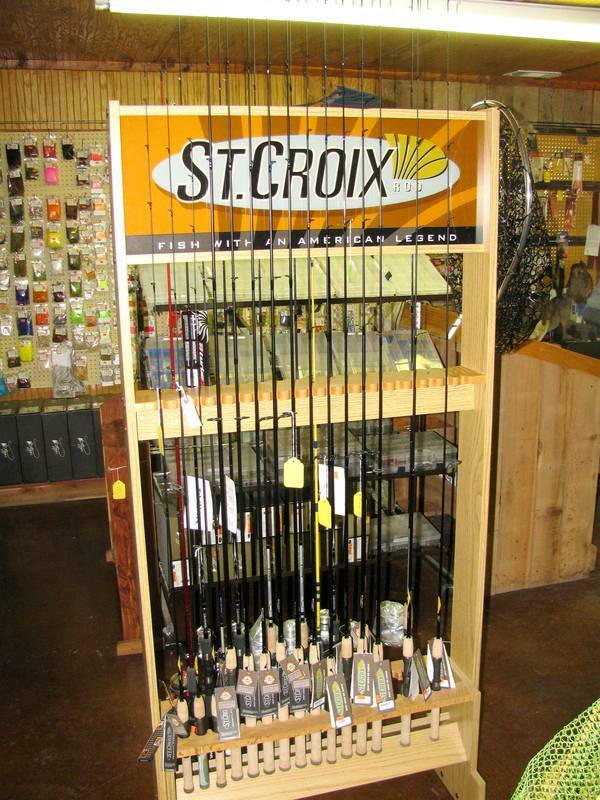 Hand made for over 60 years, St. Croix has a wide variety of rods for novice to advanced skill levels. 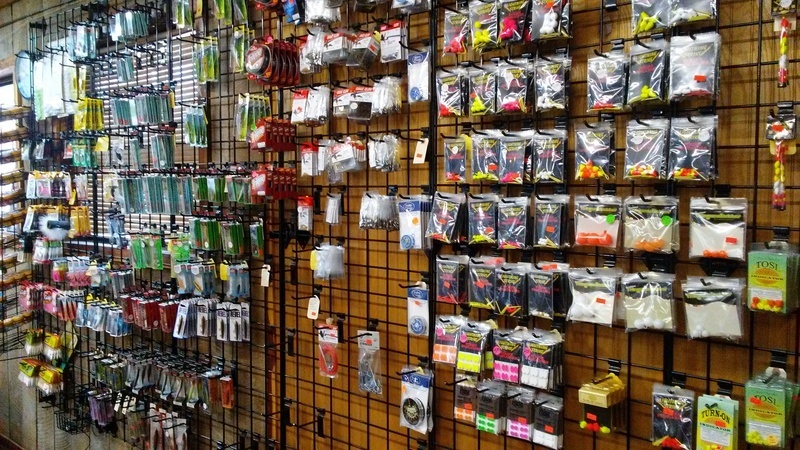 From everyday rods that are ideal for our waters to nymphing and streamer set ups, let our staff help customize the rod that would work best for you not only on your vacation but also on your home waters. 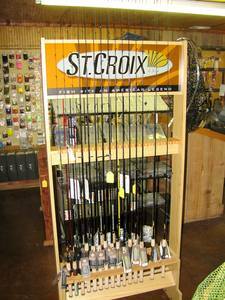 And if St Croix doesn't fit.......we have Redington rods in stock too. Something for anyone and everyone !! 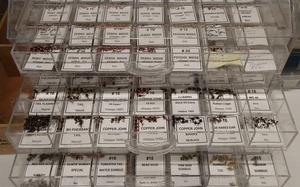 There are numerous reels to choose from Copper Johns Resorts inventory. 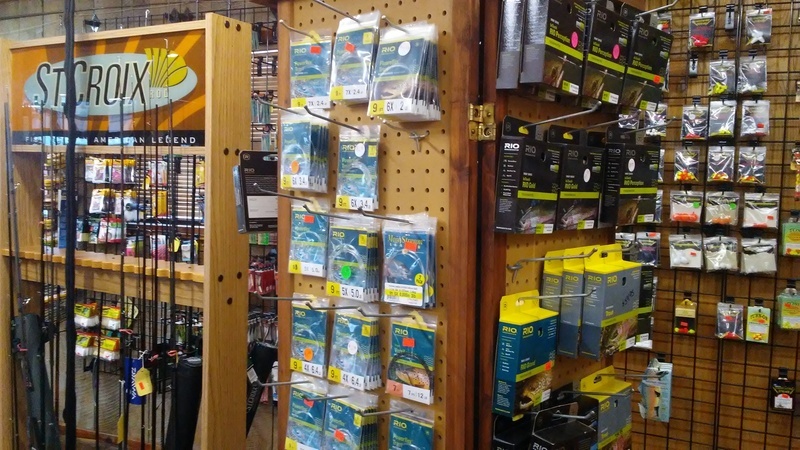 We carry small profile reels for streams like Dry Run Creek and Crooked Creek to large reels specifically designed to handle monster brown trout or stripers. Come see our stock of fishing gear and tackle at Copper Johns Resort. 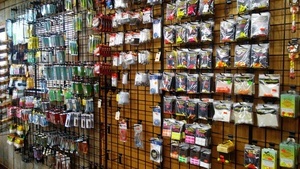 Don't forget to ask our staff about the current discount specials for rod and reel combos. While swimsuits and river sandals DO work on the White River, we don't necessarily recommend it, at least not upriver by us! The water can get down right chilly, so be prepared as our resort lies just a mile below Bull Shoals Dam and the cold water that it releases. Remember to bring boots and waders just in case you plan on wade fishing right off the back porch of your cabin. 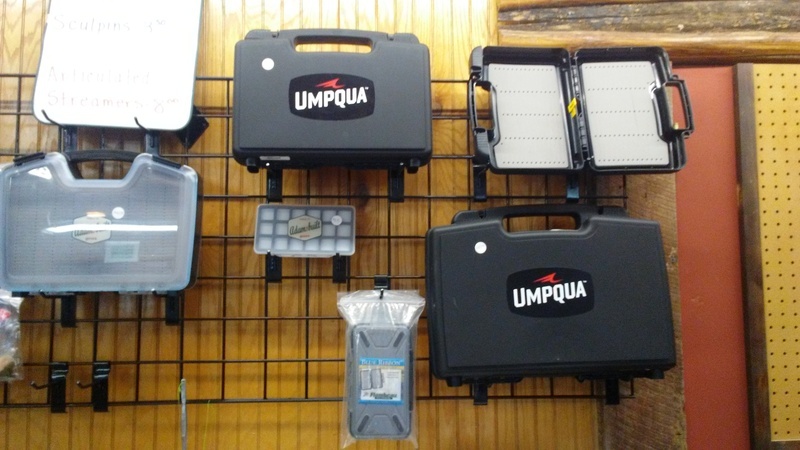 Our tackle shop has waders and boots of all sizes and we can help you get lined out if you are in need of some help. Fly fishing vests not only carry all of your whatnots while on the river, but they also make you look cool! 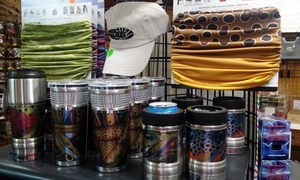 Choose from different styles and sizes to look like a pro. Copper Johns Resort has a great selection of mesh vests, or full vests, with a price you can't beat! The Ozark Mountains are usually notoriously cold near the water in the mornings, if it isn't the dead of summer. Remember to bring extra clothing just in case the elements try to sock it to you. If you forget your outerwear, don't fret, we have you covered with clothing that covers head to toe. 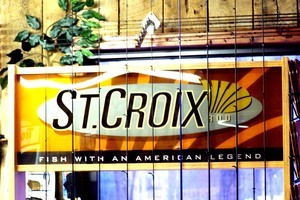 Our motto: Better to have it and not need it, than need it and not have it. 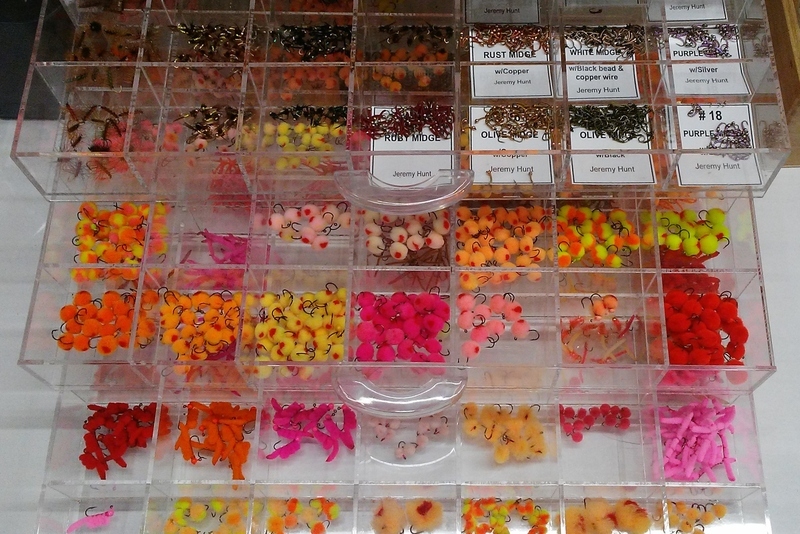 If tying your flies seems a little much, then choose from many of our own hand tied patterns all ready to fish immediately. Ask Ryan or any of our pro-shop staff for the patterns that are working best given the time of year and water flows. 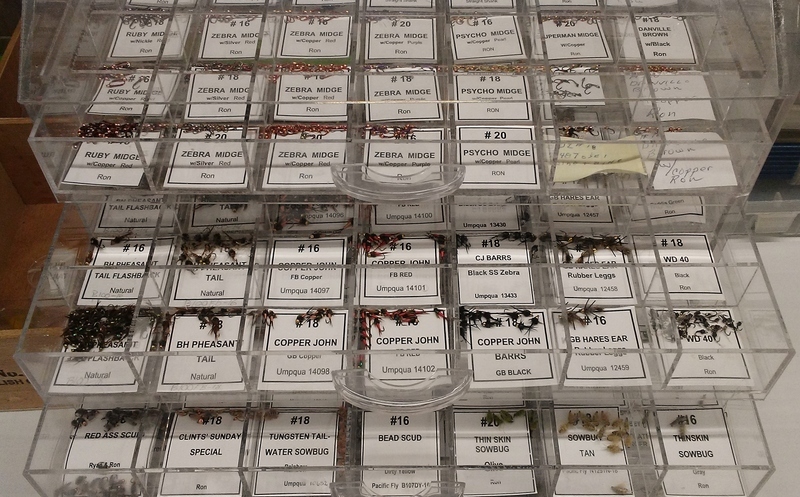 From worms, to mega worms......flies to double articulated streamers......Copper Johns has a large array for even the pickey angler ! 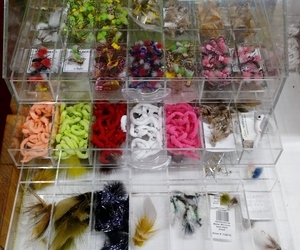 Probably one of the most important items to have when fly fishing are sunglasses. A special type of polarized sunglasses works best for not only seeing your flies and the fish striking those flies, but the fish themselves. It's very common to see fish under the surface feeding on nymphs and scuds with a good pair of glasses. 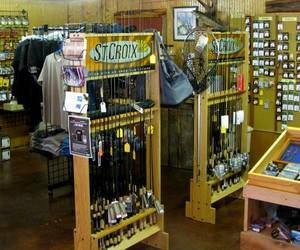 It helps put more fish in your hands, if you can see the fish to fight the fish, and Copper Johns Resort and Tackle Outfitter have various lines of high-tech glasses to choose from.